This workshop will give you the opportunity to practice some long exposure seascapes leading up to and during sunset. When we arrive the tide will be receding and low tide itself will be exactly at sunset. This will provide a safe environment to explore the rocks and beach at the far end of the bay. Generally, at low tide there are hundreds of starfish visible which also make great foreground interest for your seascape. Firstly, we will discuss what settings are required for a long exposure of a seascape, and then we’ll venture off to find ourselves a nice spot that includes some a foreground for our shot. Thinking about our composition is key to taking a good seascape, otherwise the image can look a little empty. Secondly, if you have a set of neutral density filters, and even more importantly a graduated filter, this is the workshop to give it a whirl. 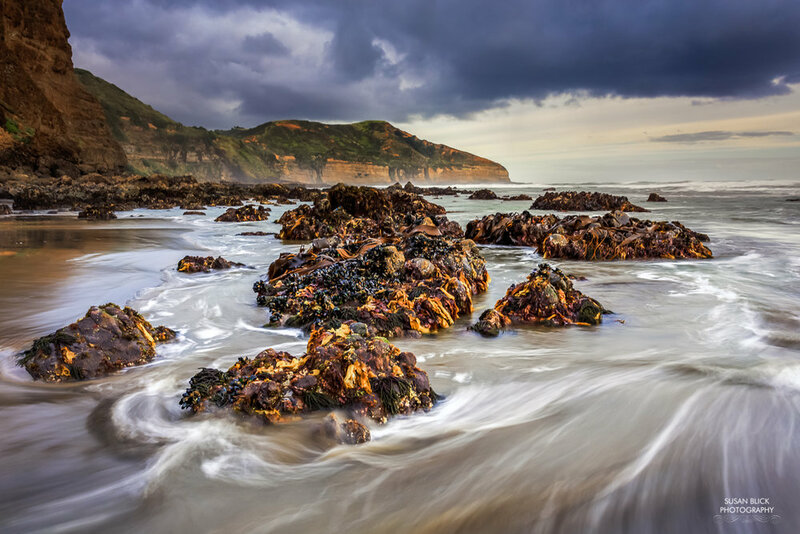 It’ll improve your chances of capturing an interesting seascape and will bring the sky’s brightness back inline with the darker foreground of your image - so very useful on this workshop. Thirdly, a nice wide lens will work best. You will also need a sturdy tripod that you don’t mind putting in the sand and possibly the sea water. Dress warmly, but you may need to wear sandals or Wellys as there is a good chance your feet will get wet. We will meet at the car park at the gannet colony and from there walk down to the beach. Please don’t be late otherwise you may have to catch up to us down on the beach. West Coast Astro - Full!